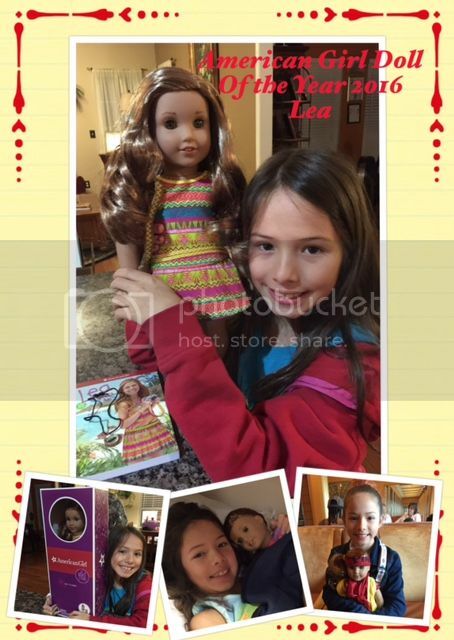 The time has arrived again and the newest American Girl Doll of the Year 2016 – Lea Clark arrived in our home. My daughter was so excited when a special delivery came in the mail for her from the awesome folks at American Girl. She excitedly opened the box and there she was – Lea Clark the adventurous girl with a love of photography, animals, and travel. Lea came with a fun geometric patterned dress with adorable criss cross sandals, a woven messenger bag, a compass necklace and Lea Dives In paperback book. Lea is an adventurous 10-year-old girl who discovers a world of possibilities when she visits Brazil. She is a Brazilian beauty, with wavy caramel hair, tanned skin, and she is the only doll with hazel/brown eyes giving her an exotic look. Lea is a versatile doll with unique features and she is easy and fun to play with. My daughter just loves that Lea loves the same things that she does. They have already traveled together to some fun places. They’ve taken a cruise to the Caribbean Islands and Lea has even dressed up as a pirate girl. The adventures for these two are endless! You can learn more about Lea’s story, have fun with activities and crafts, and learn fun facts by visiting her at American Girl of the Year. 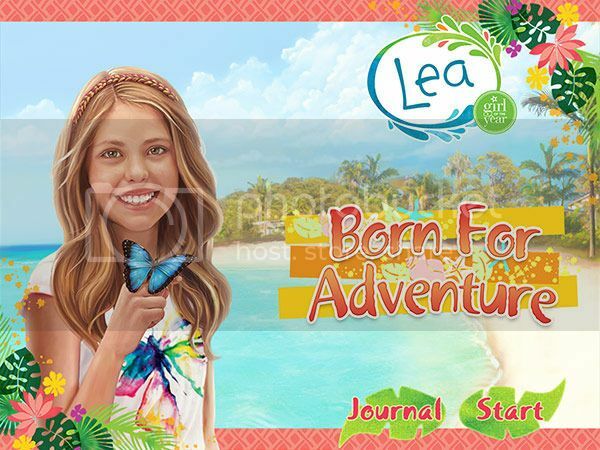 Your child can also enjoy Lea Born for Adventure App and join Lea on her adventures in Brazil. Help her keep baby sea turtles safe as they make their their way to the ocean, find the perfect gift to bring to the sea-goddess festival, snorkel around Shipwreck Cove, and travel the Amazon River to rescue a baby sloth. Lastly, to bring Lea Clark’s story to life, a full-length movie will debut on DVD this summer 2016. The new American Girl of the Year 2016 is on sale now in all American Girl retail stores and on AmericanGirl.com. Lea has great accessories and outfits that are sold separately. Mami 2 Mommy is thrilled to announce that we are giving away a Lea Clark – 2016 Girl of the Year doll to (1) of our lucky readers! This giveaway is for a Lea Clark American Girl Doll and her book Lea Dives In-written by Lisa Yee, valued at $120. Enter below for your chance to WIN Lea Clark for your special little girl – good luck! You can follow American Girl and learn more about Lea Clark – 2016 Girl of the Year – on Facebook, Twitter, Pinterest, and Instagram. You can also receive a free catalog by calling 1-800-845-0005. Disclosure: This is a sponsored post with American Girl. However, all opinions expressed are 100% my own. I’d like to win because I read alllll of the American Girl books when I was growing up. I am so excited to share them with my daughter. I really like Lea’s back story and connection to animals. That’s a cute little doll. I love that it comes with a journal, as well. I think my youngest daughter would love this. Always fun to see what the new American Girl doll is each year. I bet your daughter was waiting by the mailbox each day for that box to arrive. Our girls loved all the American girl books almost as much as the dolls. Lea sounds like a really cool American Girl doll. Her app sounds like fun and kids will love the DVD when it’s released. My daughter was obsessed with American Girl when she was younger. She loved the doll of the year. How sweet that the newest American Girl loves to travel and explore! Her outfit looks perfect for Brazil and I appreciate that a book comes with the doll as well. She’s a beautiful doll! I wish I had an American Girl doll when I was little. The backstory really brings them to life. I would love to win for my daughter. She is asking for the Lea Clark doll and would be thrilled. What a cute doll. My girls surprisingly aren’t into American Girl dolls. I don’t think they are as popular in Canada, but she sure is gorgeous! I’d like to win to start the collection for my granddaughter. It’d be a fun way to have a grandma and me thing to do for years to come. My Daughter still has her American Girl Doll from when she was little. I love the 2016 doll. This is a great giveaway. I grew up on American Girl dolls and things have changed with the brand. I love how they are becoming more diverse and I was really excited about the new Civil Rights dolls introduced for a historical story! What a great giveaway! My daughter LOVES her AG doll. It goes everywhere with us. This doll is so pretty. Kind of makes me wish my daughter was younger so I can get her one. She just got rid of a majority of her dolls. The new American Girl looks so pretty! I bet girls everywhere are wanting to get their hands on this doll! I would like to win this for my daughter,she always wanted to have fun,but because i dont work and living on tight budget i wasnt able to afford for her.It would make her very happy . I like the stories that each of the American girls have! They inspire young girls! Oh I would love to win one for my niece! She has really wanted one and would go nuts! Her parents are divorced, and I think this would be a great constant she would take back and forth with her each week! I love how educational they are! I would love to win this for my daughter. She is a gorgeous doll and we love that she is visiting Brazil and helping many of the animals there. I would love to win her for my niece. She loves photography, adventure and saving the animals, very much like Lea Clark. Wow. A great new addition to American Girl. My granddaughter is in to them. Thank you very much for the chance to win. My daughter has been asking for an American girl for a while, I would love to be able to win for her! My 7 year old was so excited to see Leah GOTY announced because she loves animals just like she does. She is currently saving her money for an upcoming birthday trip to Chicago where she is planning on buying Leah at the AG store but I would love to surprise her with Leah instead! I love American Girl dolls and I always wanted one. Thank you very much for the chance to win. I would love to win this doll for my daughter. She loves that Lea is interested in animal preservation. I would love to win for my oldest daughter. She is obsessed with the catalog and I know she would love this beautiful girl. Because my daughter has been begging for one but I have not been able to afford it. My daughter loves American Girl dolls and she has been asking for Lea! My daughter has epilepsy and she is the bravest person I know. She deserves this! I want to win this for my niece! I know she would go nuts. I would like to win this doll because An american Girl doll is the doll to have when you are my daughters age. I would love to win for my daughter because she is at the age now where she loves dolls and using her imagination. I think she’d love to go on adventures with Lea! Surprising my little one would be amazing! She would be ecstatic! The fact that playing with her AG doll gets her to put down electronics and be adventurous is the bonus for me. She has been collecting AG gift cards for her birthday and Christmas in hopes of making another trip to the store. I would love to win for my niece.. she loves doll’s and would love an American Girl.. I would like to win an American Girl doll for my nieces.